Happy New Year loves! To celebrate the end of 2016 and the beginning of 2017, we’ve developed some super tasty and refined-sugar free cocktails! 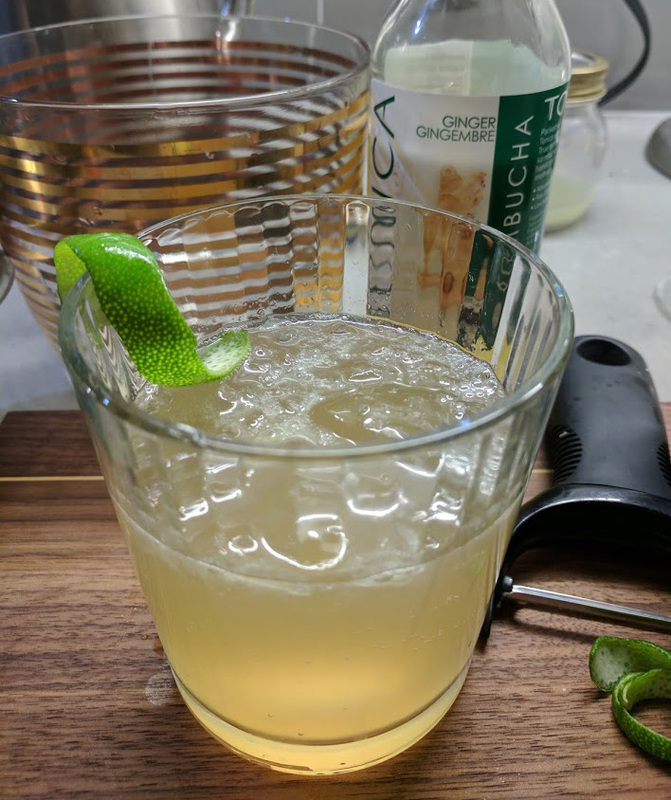 This is a take on a traditional Moscow Mule, we’ve used Ginger Kombucha, which will make your gut feel and work great given the fermented goodness of kombucha. This recipe can also be adapted to be a Dark and Stormy by replacing the vodka with Dark Rum. Fill a glass (tin Moscow mule mug if you have one) with a few ice cubes and set it aside for later. Using a y-shaped peeler, create a few ribbons of lime peel to use as a garnish later. Be sure to have as little rind as possible on the peel, as the white rind of the lime can add bitterness to the final cocktail. To make a perfect ribbon of lime twist, you can trim the edges straight with a sharp knife or kitchen shears. jigger into the glass. Next, measure out 1 1/2 oz of vodka and add it to the lime juice and ice. Top up the glass with ginger kombucha, and garnish with a lime twist on the rim of the glass. Here’s to 2017 bringing you health and happiness!